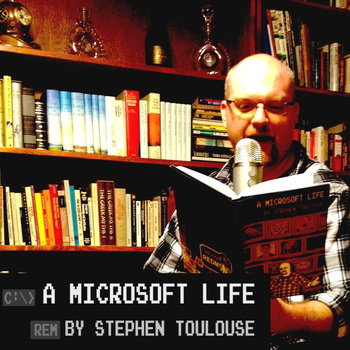 Ok that was a Microsoftism, it’s totally not true of w00tstock. I’ve spoken of it before but there is an energy backstage at a w00tstock that’s quite unlike anything but a w00tstock. At any given time there’s a collection of folk not performing that are adding to the geekiness just under the surface where you can’t see it. Not unlike how just under the surface of a Reese’s peanut butter cup there is something that is kinda like peanut butter but not really but is still AMAZING. It occurs to me it’s probably becoming clear I’m on a diet/exercise regimen now which might be affecting my metaphors like a ham steak wrapped in bacon. With my super special amazing secret All Access badge I headed to the back stage of the Balboa theater in San Diego to see my friends. Almost immediately I ran into my fellow w00tstock alumni Marian Call, Len Peralta, and Joel Watson. We hadn’t seen each other in close to 12 hours! I quickly grabbed Len and took him aside to revisit an idea I had shared with him all those hours ago: Find the worst seat in the house, then ask the person in that seat to take their camera backstage and take photos just for them as a keepsake to make up for the bad seat. High we climbed. More than once I had to lean on Len as the thin air got to me. The cold bit hard, like a thing that bites hard with a cold that isn’t normally cold but once it bites is really cold, not unlike fire except it was ice. Like ice cream. specifically Ben and Jerry’s cookie dough ice cream. At long last we reached the scion of bad seats. She was huddled at the highest point of the theater beneath the Sound Booth overhang. We deployed our strongest charms which mainly consisted of waving our all access badges around and explaining we needed her camera for hijinks backstage. 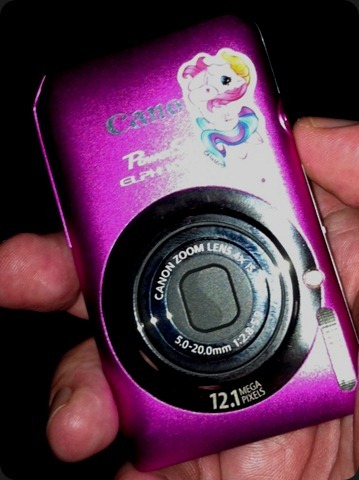 After regarding us with some mistrust she finally handed the camera over with one stipulation: The my little pony sticker on it had to remain unharmed*. Camera in hand we trotted backstage to have fun with it and be with our friends. I popped my head into one dressing room and found myself staring at the business end of a very realistic looking black handgun. I stared carefully down the length of the barrel until my eyes met the holder, Amy Berg. I’d met Amy the previous night and of course admired her work on Leverage and Eureka. I was not, however, familiar with her proficiency or with her training with handguns or handgun safety. She returned to typing away busily at her laptop as she spoke, “I plan to demonstrate the power a writer has to change any narrative at any time. Make any fictionalized world, even one grounded in a familiar reality, malleable and ultimately fickle. Also Awesome.” When Amy says “awesome” that’s how it sounds, capitalized and in italics. “Any narrative.” She replied, still typing away as I pirouetted around the dressing room in a shocking pink leotard with a diamond encrusted tiara atop my head. “That sounds so meta” I said as her typing stopped and I returned to my normal self. “You just wait until I kill everyone**,” she said softly to her laptop. I slowly backed out of the room. ’Round the corner were too many awesome people. Bill Corbett, Kevin Murphy and Michael Nelson of Rifftrax and Mystery Science Theater fame were riffin’ and traxin’ right in the hallway! 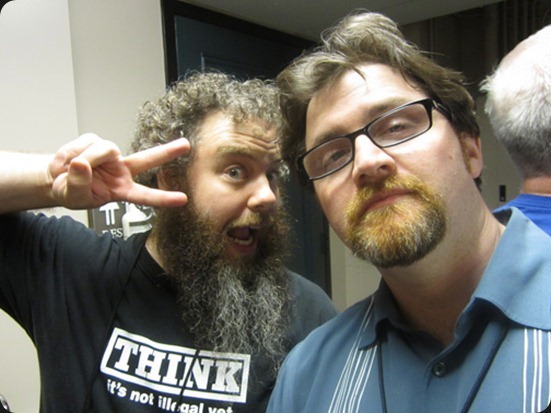 Mr. Patrick Rothfuss and Earnest Cline were just standing there. BEING AWESOME. I went to the back room, where the venue had provided us with plenty of crisp, cold Miller Lite, to find Messrs. John Roderick, Jason Finn, and Chris Hardwick. After making my greetings I couldn’t help but notice someone missing. “HE IS HERE” a small but drunken voice came from the corner. I turned, and was shocked at what I saw. Mike Phirman had been a tall, handsome, virile man. He was young and smelled of elderberries and cotton candy. This creature before me was twisted and small, a third of Mike’s size. Yet he bore his unmistakable handsome facial features, twisted though they were, under a mop of blondish hair. And the voice was familiar if clouded by wine he drank from a great cup. “I don’t have time for this,” Amy said as she tapped quickly on her keyboard. Suddenly Mike Phirman, as he was, stood before us. He glowed white with pure awesomeness and now smelling of orange Starburst candy and freshly baked cookies. He took a deep breath and levitated six inches off the ground for a second. 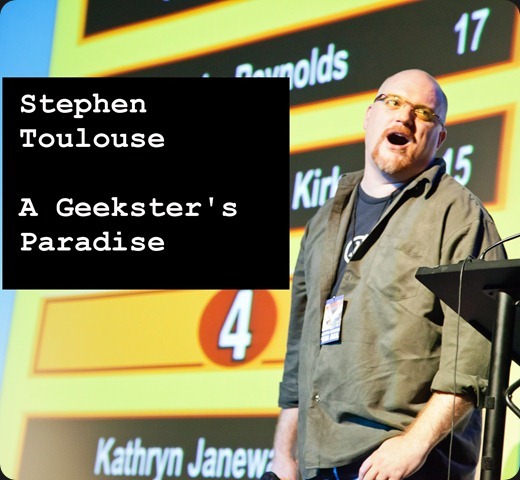 The entire night was amazing, from the traditional w00tstock performances of Paul and Storm and Adam Savage and Wil Wheaton, to the special 3.0 guests, to the videos that played. And backstage and offstage we took pictures. Oh yeah all those backstage photos? You should see them too. There are no more w00tstocks this year I am sad to say. However, something…wonderful is being planned for 2012. And I think you should go have a say in it. * That was a real thing she said. ** Amy didn’t really kill everyone. That night anyway. If you read one single post about PAX Prime, this is at least that one. The versions I was in did not get it right, huh? I see how it is. Hey, if loving me is wrong, I don’t wanna be right.